Avon is well known for the cutting-edge technologies in our Anew anti-aging skin care. Now we are bringing the same expertise and high quality standards to a new line of skin care for those who prefer gentler formulas with more natural ingredients. NutraEffects harnesses the power of the Chia Seed. Chia seeds, the featured ingredient in our Active Seed Complex, are rich in vitamins, minerals, omega-3 fatty acids and essential oils, making them a popular addition to food and shakes. They absorb 12 times their weight in water, and contain vitamins that can provide antioxidant benefits to the skin. Which NutraEffects formula is right for you? With the moistuizing benefits of Chia Seed, Hydration provides 48-hour moisturization. Skin appears softer and smoother in one day...all day. In one week, the appearance of rough, dry skin is dramatically improved. Mattifying Powders help control oil and reduce the appearance of pores. Skin looks and feels balanced in one day. In one week, pores appear dramatically reduced. Bird of Paradise Seed helps awaken the look of radiance for brighter-looking skin in one day. In two weeks, reduces the appearance of discoloration. Choose Ageless...If you are seeing the early signs of aging. Pomegranate Extract helps soften the look of wrinkles in one day. In two weeks, skin looks and feels younger, and youthful fullness is restored. Choose Eye Cream...If you are seeing early signs of aging around the eyes. Makes the eye area look and feel replenished for a younger, firmer and lifted look. In one day, the eye area looks firmer and tighter. In two weeks, visibly diminishes the look of crows feet. NutraEffects Eye Cream can be used with any of the NutraEffects lines. What cleanser should I use with NutraEffects? While any of the cleansers in the Anew Clean line will complement the NutraEffects creams nicely, we recommend the Micellar Cleansing Water for those with sensitive skin. If you're not satisfied with your selection, return it within 90 days of receiving it and get your money back. 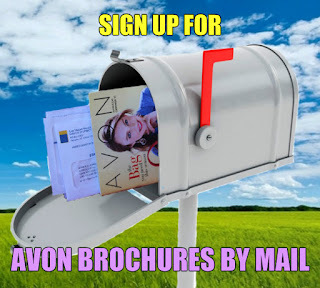 View Avon's full 90-day Return Policy at avon.com/returns. Need help choosing which formula to try, contact me for a consultation or to request a sample.